Want instant access to the Microsoft Excel online learning – click here to enrol and pay via paypal. great step by step training. Lorraine was fabulous. I could listen to her all day!! Paced well and very patient. Thanks so much!!!!!!! Fantastic know much more than when I walked in the door !! The course was very interesting. The tutor was very energetic and clear in her explanations covering a large range of the subject and taking time to explain to each one struggling. Very informative, Lorraine made sure that every thing was understood and went back over again if needed, nothing seemed to be to much trouble. Left with a better understanding of what Excel could do. Lorraine was excellent very help full and great at taking the time out to explain things if we weren’t understanding. having to do homework to become familiar. Lorraine was wonderful, she know her job through and through. It was useful and comprehensive. It gave a great tool to explore excel. Thanks Lorraine you were an excellent trainer. Very helpful. I’m glad I completed the course. Thank you for extending my limited knowledge of Excel. Now I have to put it into practice!! Very informative and knowledgeable teacher. Nothing was too much trouble to ask. Good course. Complex information presented in an easy to follow manner that made sense! Enjoyed the class. Learnt some more new tricks, have some things to go over but overall very good. Helped with using 2010 program with shortcuts and to become confident in using all options. Information dense day. Great – very efficient. Didn’t dwell on sections for too long, which was good. Simplistic explanations were given. Very easy to follow. Take home book will come in handy I’m sure! Found the course very useful because I acquired new skills to use at work. Facilitator customised the session to suit your needs which is also an advantage. Very informative course with an easy to follow text book. Many thanks to Lorraine for her patience. Very enjoyable course. The trainer Lorraine was lovely. I learnt many things I can take back to my workplace and use. Very informative. The tutor was fun and patient. Learn a lot about Excel in one day! Gained some of the knowledge I was looking for and am looking forward to the advanced course in the coming month. The course was good, thanks! Gained a lot of useful knowledge & tips. Just what I wanted to gain from todays course. Thanks. Enjoyed the course. Learned a lot of handy tips. Will save me a lot of time. Very informative, i have learnt a lot today. Lorraine was very helpful and informative, just like she was in the Microsoft Word course. This Excel course helped me to gain a better overall understanding of Excel, learning aspects of it that I had previously no idea about. Information dense day. Light-hearted delivery of information. Didn’t dwell on sections for too long, which was good. Simplistic explanations were given. Very easy to follow. Take home book will come in handy I’m sure! Class was very informative – all stuf i will use at work. Great course, thanks for taking that extra step and teaching us Pivot tables. I loved the beginners and intermediatory levels and cant wait for the advanced course tomorrow. Thanks Lorraine, fun and learning in one. A very beneficial course- all knowledge was useful and the tutor covered extras that peers asked. It will definitely make the dreadful spreadsheet at work a little less daunting! Good knowledge to gain, Awesome environment and lecturer. Strongly recommend. Helps with what i do know make sense. Great course, good for applying to my cost traking at work.Lorraine great teacher. Instructor was of High quality and the course was very informative. Very good course and explained well. This was a perfect step by step for Microsoft Excel, definitely recommend this for young and old. Instructor was clear and patient. Very good course. Would recommend to all to complete. Instructor was brilliant and a great help. Great course, easy to understand, Dan went through everything at a good pace giving plenty of time to learn. Loved the uncomplicated and clean presentation of all topics..
Really informitive course, have learnt allot in the past two days. Looking forward to putting it into practice. Very helpful course. Trainer was lovely, vey patient, did not rush anyone. The course was helpful to me and I will take away many pieces of useful information. Good value and lots leant. Very well presented and helpful course. Very helpful and easily comprehensible. LOVE IT! Love Excel!! Thanks Lorraine – keep up the energy and high level of patience! Good step by step training & attentive to any additional enquiries. Was great to get additional training from the professionals to add to my knowledge of excel. Very helpfull. Enjoyable day, Thank you. Found this course very useful. Lorraine conducted the course in an excellent manner and was more than happy to help. Excellent course, gives me plenty to work with and kudos to a very patient instructor.. Very enjoyable – able to grasp the concepts in the classroom and the workbook and online course support enables me to practice and refine the skills I require for work. Really great class, has helped me out heaps! Thankyou! Good fun, easy to learn format. Very useful and easy to follow, great fun and well taught. course was super. covered every thing that I needed. Great course and learnt a lot. Good reference material and after course support. Very good trainer… Learnt a lot for my job/position. Great course- Great tool with great options. Very helpful for career development and ease of use when knowing whats available. Lorraine was very informative and tentative to re run of anything we were unsure of . Excellent course well presented . Veyr good course, relax and informative, Brett was very calm and precise. I though some of the topics were not necessary a they were very basic and the important one’s i.e. formulars needed more information. Very good course and very interesting! I did learn quite a few things. Great easy learning… Very helpful! The step by step training was easy to follow and will most definitely help me in my current role. Thank you. Good class learnt lots in one day. Lorraine was such a great and informative teacher. She took the time to show and make sure you understood before moving on. Fabulous!! Definitely a lot of information to take in for one day but is very helpful for my position at work. It’s great that I can now go home and practice this at home to refresh my memory. Very helpful and specific to what I needed to learn. Great training, pace was perfect so nothing was missed. Thanks – there were lots of hidden surprises and shortcuts that were great. the workbook is easy to use and understand. Great to get going for any newbies. However if you use excel on a daily basis and simply want to improve on what you know, I suggest skipping the intermediate course and doing the advanced. Lorraine is very patient and explained everything very well during the advanced course. Very informative class – easy to follow and I feel confident that I could use most things covered in a workplace environment. Very informative. I particularly enjoyed the Logical Functions and Formula Techniques. Now all I have to do is practice, practice, practice…..
Great relaxing course to attend easy way of learning something that I thought would be pretty difficult to learn! Very informative & good all round knowledge base of trainer who tried to apply Excel to our field. Worthwhile course, lots of tips learnt to make the most of my data. Great Course and tailored to the individuals needs. I would definitely recommend this course to others as you will get something out of it. Good to learn how to do things the right way. Added a lot of new tools to my job. Excellent course – well paced, flexible and full of useful information. The course book is comprehensive and will be very helpful for when I need to refer back to things I might have forgotten in the future. attended a half-day course. very informative and the instructor answered all questions. Very well facilitated. Good to be able to pose specific problems for issues experienced at work and get a solution. Looking forward to the advanced course! Very well paced. No one was left behind in any demonstration. Dan showed great flexibility in accommodating our needs. Very helpful hints too. I would recommend this instructor to others. Clear, concise delivery. Nailed all the elements I required. Overall it was a goo session, the best part is having a comprehensive training guide to take away to refer to in future. A very informative and engaging training program. Very good course and not too hard to work through, well balanced and the instructor was very well informed. A sound Intermediate course for excel users! A very good course. Clear instructions and a good pace for all levels. Very friendly instructor. Great course. Friendly environment and everything was explained very well. Very good course. Step by step insructions. Very helpful. Very well presented course. Lorraine was excellent and very patient. I am looking forward to putting a lot of what I have learned into practice. Excellently presented course – knowledgeable and practical in presentation. Tips and shortcuts were valuable. I enjoyed the course very much. Lorraine was obviously knowledgeable, and conveyed the information clearly and concisely. I really enjoyed the course with Lorraine. It was captivating from the beginning and I learnt something new straight away as soon as the course kicked off. Great start off with formulae! !Will come back for more! Very informative. Well presented and have gone away with a good understanding of the Excel program. Thank you for your patients and for keeping it interesting. Very knowledgeable and informative; helpful. Will be able to apply and continue through workbook at own pace to clarify processes. An enjoyable and well presented course covering most of the intermediate functions of excel and some more advanced items such as pivot tables which were good. Many tips and tricks. Great course by Lorraine. I really enjoyed it. Kicked off really well straight into formulae. I learnt something new straight away as soon as the course started.Will come back for more. I really enjoyed this course and have gained a lot of useful information. Lorraine was an excellent presenter. Her instructions were clear and concise and geared the training to our needs. She was also very patient. 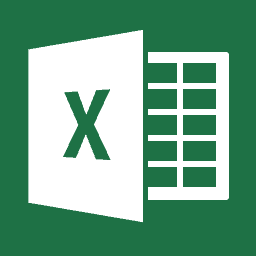 It’s great to now know more about Excel’s functions. Excellent course – well balanced. Thanks Lorraine. We got through a lot of very useful information. Very informative! Will definitely help with work. A bit too fast at times but otherwise great information. Very usful course. Highly recommended for daily users of Microsoft Excel. Great course. There’s just a little bit too much information to cover in this class which means a lot of the tasks get rushed! I got a lot more out of the course than what I was expecting. Lorraine was a thorough and patient teacher with a wealth of knowledge in excel. I feel the course has really benefited my, I would recommend to anyone who is wanting to improve or refine their excel skills. Training was well presented. Was too advanced first half however better second half. I founf the information practical and can apply to my work. Learned a lot of new functions that I never new. Great class. I really learnt alot from today’s course and went from hating excel to actually enjoying it. It was really helpful. Great course. Learnt some great tips. Covered a lot of stuff I already knew but I still learned many things I didnt know which will be extremely useful. I will be back to do the advanced module. Really helpful. Walked away with a better understanding of the software and how to apply it to the workplace. Course was great, I got exactly what I needed out of it and it didn’t drag on or get boring. It was an interactive class. Brilliant, very well paced and highly informative! Thanks for the bonuses. Excellent training, with detailed training, and backup support to ensure integration. Thank you! This course is helpful for my job. I now enjoy more doing excel with enhanced knowledge from the training. Love it and thinking of doing the advanced course. her patience. I learnt heaps. Great job, learnt a lot. Thanks! Lots of info to take in, in such a short amount of time. Glad I have the work book to take home and work through at my own pace. Very informative 🙂 Very helpful for my workplace. I learned the subjects that I wanted to learn today. Thank you Lorraine. Some interesting general tips and short cuts. Look forward to trying to apply what I’ve learnt. Fast paced but thorough training. Will come in very handy. Great tips, very helpful and hope to apply to my everyday working spreadsheets! Extremely useful session- good pace & professionalism. Learnt somethings i did not know, course was a bit fast paced for me. Never have I known so many shortcuts! This will definitely help me at work! Thanks Lorraine :). i found this day course to be very interesting. I am looking forward to applying the skills that i have learnt today in my daily roles. I learned so much today! All of which I will take back to the office and use. Lorraine was an awesome trainer! Very good lecture with good skills and well presented knowledge. Very helpful course. Learned some great stuff and lots of extra tips and tricks. Lorraine was super friendly and definitely knew what she was talking about. Lorraine was very informative and very helpful with sharing her skills in Excel. Very helpful, many lightbulb moments. Had a great day out the office, informative, learned a lot. Was a bit fast for my old brain at times, but a wonderfully patient trainer who would go over things numerous times. great course, pitched at a good level for my current knowledge. Alot covered but great having a detailed workbook to take away. Good content covered, learnt a lot of new things. Great! The formula training was very helpful and taught in a very user friendly way. I dont use Excel often however it was good for a refreshment with Windows having their layout changed so much. I needed the refreshments and thought it was well delivered. Easy to follow and comfortable to ask silly questions that I am too embarassed to ask before. Instructor patient and helpful to field our own daily problems/issues encountered in our own areas. Awesome! Well delivered, good pace and a lot of information covered. Very useful. Great class 🙂 Lorraine was very helpful and informative. Presented the day very well despite people laughing like school kids up the back of the class all day. Well done. Very interesting, I learnt so much. Lorraine was very helpful. I learn a large mount in a short time. I will be using the training files to become better at using the program. Excellent training, good step by step guide and easy to follow. Great that we were asked what knowledge we would like to take away from the course as these topics were then covered. Very patient instructor too! Easy to follow along, helped with my overall understanding of excel functions. Class went quite slowly with a lot of people though. People get left behind and we have to wait. Easy to follow, instructor very helpful. Learnt alot. Learnt a lot of new skills, some were farily advanced but will be useful for the office. Very good, felt very comfortable asking questions and if I had trouble. Instructor very good! Just hope i can remember 1/2 of what i was shown. Well paced, highly informative. Would recommend to colleagues and friends. Great course, really informative! The section on formulas was particularly helpful. Cheers. Enjoyed the course which was well explained and contained very useful content. Good course reference book. Very informative, certainly improved my general knowledge of Excel. Learnt some new skills and tricks. Thank you. Dan is a legend! Fantastic course. very informative, learn lots of new things. Learnt a lot of new things I did not know. Lots of interesting tricks learnt. Great and very informative. I will be attending the next course for sure. Enjoyed the course, learnt a lot of things I wasn’t aware of. Very easy to understand. Very good course, learnt lots of tricks. Tutor adapted to different user levels. A lot of information to bring back with me. Can’t wait to try apply them to my business. The intermediate course was very informative and the presenter knew her material well. It would be good to supply each participant with a bottle of water as it can get a bit warm in the room. Facilitator was very helpful, took the class at their pace, did not get too far ahead and leave some people behind. Good Facilitator, a lot to be covered in one day. I also felt there was a portion of the day which was repetitive learning of the previous day scope. Great interactive course, would recommend to anyone who has a basic excel understanding already. lorraine was really good and kept the course dynamic based on students’ need and questions. will be attending the advanced. The course was informative. The trainer explained things well. I would recommend this course to others. This course gave a good overview of what excel can do, trainer was very knowledgeable. Really got a lot out of the course. Will be much more effective in the work place with the skills I have learnt. Great course! A huge thank you to Lorraine for being an excellent teacher. Have learnt heaps throughout the course. Very friendly and knowledgeable trainer – I’ll be walking away with some really useful skills for my job! Learned new skills, looking forward to use Pivot tables. Good quick summary of Excel, recommend to purchase workbook for future reference. Highly enjoyed the course, Lorraine is a fantastic trainer. Well delivered course. Can’t wait to put this knowledge into practice. Lorraine, was a great trainer, she was very patient and explained in detail; which was very helpful! A great course and which covered an enormous amount in one day. Need to consolidate what has been taught today but registering for the advanced. The lecturer was knowledgeable and interesting. Thank you. Lorraine is an amazing instructor. Very patient with nervous beginners, and and delivers clear and precise direction. Very hands on. Nice and fast paced. Looking forward to booking the Advanced Course, and applying what I have learned in the Beginner and Intermediate classes, to all my future Excel Projects or assignments! Lorraine is a great teacher but found a lot to take in very quickly. A bit frustrating when keyboard died and could’t finish the practical. A lot to take in but very informative, and the pace worked really well, even though it was a large group. We were able to ask questions as we went and the hints and tips were great. Lorraine was very direct and clear with instructions – easy to follow. Looking forward to putting what I have learnt into practice. First half of the day was really helpful when working with formulas and the second half was great when working with pivot tables. Just wish we were able to spend more time on formulas and functions. Lorraine was was a pleasure to work with. Would have preferred to the course to go over a couple of days as there is a lot of content . Yes, the course was good, it went a bit too fast, found it hard to catch up and do the work examples at the same time on some areas. Better than the last course I attended on Excel. It is a lot to cover in one day and Lorraine did a great job in delivering the training. A lot was covered over the day. Lorraine was very patient so it was easy to keep up. Now I just need to practice using the course guide! Lorraine is great,the course is very helpful. Really helpful – I have learn a lot today and think I will be much more efficient at work from now on. A lot was covered in the day, I am looking forward to practicing at home, glad I bought a course book. Very interesting, i didnt realise Excel had so many functions. Learnt some new tricks. Good to have book to work from away from the classroom. Lorraine was a great teacher who was happy to help us individually if we had specific issues despite the fairly large class size. The workbook is a great resource and I recommend that future students get the ‘hard copy’ version as opposed to the digital. I felt that I got a lot out of the course and would recommend it to others. Was very informative, learnt heaps thank you for being so patient. Good but in a rush…..well tried to cope up. Introduction to intermediate , i personally should have practiced. Really enjoyed the course it was well paced and learn’t quite a few Excel features I was unaware of. Course was good, it went a bit too fast, found it hard to catch up and do the work examples at the same time with some topics as I don’t use Excel a lot. Practice makes perfect! Good course with great take-away reference materials. Very Informative and really helpful. This course was very relevant to my work and the trainer was very helpful and knowledgeable. A snapshot of the course, I would have loved to hear more examples of how each task can be used in everyday work situations. Will continue to learn at home. Learnt quite a great deal about the functions through Intermediate course. Comes really handy when applying to my current job/role. Clear and precise explanations and lots of patience. Glad for the work book. Volume of work too much for one day, will go back to book. Harder than expected, a comprehensive overview of the course would have been helpful, then I would have enrolled in the basic course first. Very fast paced,unfortunately. Did not have time to cover the content that I wanted as we ran out of time. Also was not made aware of the cost for the workbook. Course is most informative but a bit fast-paced. Found the previous Xcel beginner course I had previously done did not use the same language as your trainer and thus found it difficult to reference some areas. Hopefully the exercises can be practised online and then I will catch-up. Great course – covers a lot! A great way to learn about Excel. Will be very handy in te workplace. Great course, I was unsure where I was at in my understanding of Excel so signed up for both the Intermediate & Advanced. Lucky I knew most of this but have got a few things to take home. Did go very fast for those who may have not already had any prior knowledge of topics covered. Great informative and well paced training. Training material very comprehensive. Instructor had a wealth of knowledge and was able to tailor the course on the fly to suit participants. Well delivered at a good pace. Excellent course. Covered heaps, yet made sure everyone was getting the point. Flexible and comprehensive. Enjoyed Lorraine’s sense of humour and expertise. Would recommend. Good pace, easy to follow, lovely teacher. Lesson was very well explained, and covered many aspects of Excel that I had wanted to familiarise with. Great course. Pity it wasn’t for two days. Teacher was helpful and attentive, very informative class. Very informative. Trainer was very patient. Unfortunately we ran out of time. Not enough time to go through everything. Went through everything way to quick. It should be a two course. Class was well structured and very helpful. Way too pushed for time. No time for questions or clarification. Lorraine is a great trainer. The course itself needs to be better organised for the price we are paying. I took away lots of helpful tips and a lot more information on graphs that I didn’t know and conditional formatting which I will find helpful in my job. The course workbook is an excellent tool and worth purchasing in my opinion. Great step by step. Went through it quickly but was able to keep up. Good but I would have preferred more individual attention for pivot tables as I got a bit left behind. Great course, happy with content and pace. Found Lorraine to be a great tutor, adapting to all needs & all students. Well presented. Look forward for the advanced excel course next month. This course was excellent! So many tips and tools that I didn’t know and will definitely save me a huge amount of time. Instructor Lorraine was easy to understand and tailored certain parts of the course to suit my individual needs in particular. Very worthwhile. Thorough course that takes into account the needs of the students in the class. Excellent and soo informative, thank you so much Lorraine. Very useful tips and short cuts. Good for introductions to new functions in Excel. Lorraine was great, very patient, extremely knowledgeable and across the content. Everything was pre-prepared well to maximise time. The course will definitely pay for itself in time savings. Really helpful and patient teacher – Lorraine, so many useful tips and tools ! Well presented. Beginner and Intermediate were just what I needed to feel more confident in using Excel. Super class, bit harder than the introductory. I do feel I learned more than what I expected. Happy with doing the pivot tables. This is a big plus for me. Lorraine is super passionate about Excel. I will recommend this course to my friends. Class pitched at right level with structured manuals supplied. Covered skills I was seeking. Dan was very knowledgeable and friendly as well. Leaned lots in this two days. Very useful. The teaching was tailored into the practical use from students. Will introduce this to friends. Great course and lots of info! Would definitely recommend! Absolutely loved this course. Dan was very easy to understand and very knowledgeable. Can’t wait for my Advanced course. Well Done Dan! It will make my work a lot quicker with less stress. Dan is an awesome trainer full of patience, and explains things well. Learnings will assist in my work. Good way of touching base on multiple functions, would prefer an option to have a longer session to go over individual matters in more depth. Overall a enjoyable and beneficial learning experience. I enjoyed Dan’s presentation, he was very clear and helpful to ensure I was able to keep up with the information presented. I recommend this course to anyone looking to improve their knowledge of Excel. I particularly found the scenarios and goal seeking information. Great overview of general excel functions. Good content coverage. Thank you Dan. Great course, very well delivered. I recommend buying the handbook, as there is so much in there that isnt covered. Cheers! Very good overview of commonly used intermediate level features.